LOS ANGELES, Aug. 4, 2015 /PRNewswire/ -- Walter O'Brien, the inspiration behind the CBS hit show </Scorpion>, was the celebrity judge for BritWeek: Code for Kids Hack-a-thon in Los Angeles, California. 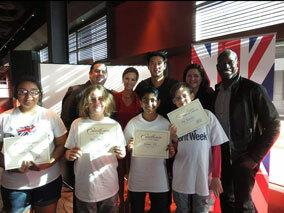 Code for Kids is part of BritWeek Los Angeles, which ran from April 19 through May 3. The Code for Kids Hack-a-thon concluded a dynamic day of coding for 120 underprivileged children. 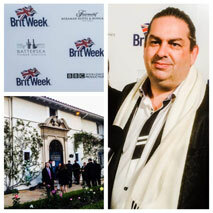 2015 was the first year BritWeek Los Angeles included the Code for Kids event. "Every year, BritWeek's program changes and evolves," said BritWeek Founder Nigel Lythgoe, "but this year it is by far one of the most exciting with something for everyone. Come and join us and have a very British BRITWEEK." 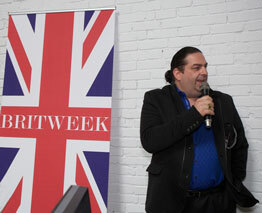 O'Brien also appeared at BritWeek's Launch Party red-carpet event. 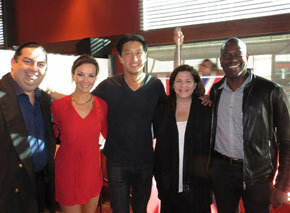 O'Brien and other celebrities were asked what makes the U.S. and U.K. relationship so special. 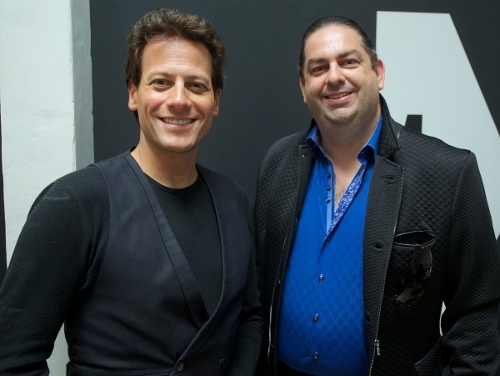 O'Brien said "there's great value in the creativity, innovation, and no-holds barred film budgets and special effects in the U.S."
A long-time supporter and activist of children's computer literacy, O'Brien appeared alongside Titanic and Fantastic Four actor Ioan Gruffudd at the Code for Kids Hack-a-thon. 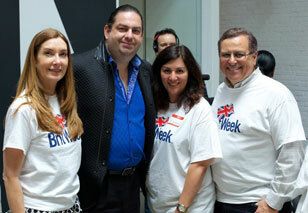 Of the event, O'Brien said, "This year's BritWeek: Code for Kids Hack-a-thon ignited children's limitless curiosity. We're here to help them on their journey to discover code."